Sometimes the cutest cottage on the street in Fort Lauderdale’s Real Estate market can open on architectural surprises and certainly this is the case at 415 SW 20th Street. This Croissant Park home that the team at Eric Miller and Associates Keller Williams Fort Lauderdale is about to bring to market, located at 415 SW 20th Street, Fort Lauderdale, FL 33315 in the South West Section of Fort Lauderdale, will amaze you from the moment you open the front door. A large living room open to a new kitchen with floor to ceiling cabinetry and high end appliances make you realize that you are in a special property the moment you walk in through the front door. With three fireplaces the beauty and warmth of this home continues throughout. On the main floor there are two bedrooms with plus a large den that would an excellent office or even a third bedroom. Upstairs in your own private world the space opens on a huge master suite, vaulted ceilings, large closets, a master bath, and a fireplace. To the rear of the first floor is one of the largest screened in patio spaces we have ever seen, and another fireplace. The spacious screened room is the ideal place to host family and friends. The screen room is large enough where it easily accommodates both a hot tub and pool table. In addition to the beauty of this Croissant Park home, the property comes with all the bells and whistles. Hurricane glass or shutters to protect all openings, a built in home generator with a 500-gallon propane tank (in case of hurricane you will be the favorite spot in the neighborhood), and two air-conditioning systems one of which is brand new. Offered for sale at $485,000 with over 2500 square feet this home is being offered at under $200 a square foot, a great value in today’s Fort Lauderdale Real Estate market. Sincerely don’t let the cottage entrance on the street deter you from seeing this amazing property. If you have been looking for a home that truly represents a great Fort Lauderdale lifestyle close to the airport, schools, the courts and downtown Fort Lauderdale 415 SW 20th Street is not to be missed. Call the team at Eric Miller and Associates to be notified as soon as we are able to show this incredible home. There are two docks ready to go at this Fort Lauderdale Waterfront home. On the New River which winds through downtown Fort Lauderdale here is a 42 foot dock which can easily house a 60 foot yacht. On the canal side there is a 58 foot dock which currently houses a sail boat. In addition, there is a lift which was set up for a Duffy, the perfect electric boat to enjoy visiting neighbors or a quick dinner downtown. The property features is beautiful pool and hot tub which was just redone. Because of the larger than usual lot the pool area still gets a great deal of privacy from the waterfront. There are two screened in patios one off the main living area and a second private to the master bedroom street which was added in 2006. The master bedroom has a beautiful view of the waterways and an endless boat parade. The home itself is over 2600 square feet plus an oversized two car garage. The huge living room was built for entertaining and features expansive walls of glass that allow for water views from every vantage point. The home features three bedrooms and three full baths. Fort Lauderdale Real Estate demand proved to be the exact opposite of what national reports keep saying about the real estate market in general. A few weeks back as we discussed in an earlier blog post the Fountains on Ocean Blvd. conducted a real estate auction for the remaining unsold inventory. 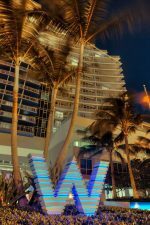 The auction drew a huge crowd of buyers to the Fort Lauderdale Hilton on a beautiful sunny day in Ft. Lauderdale, to buy their own piece of Fort Lauderdale Real Estate. Fort Lauderdale Condominiums were sold in an orderly fashion of aggressive bidding, and in just over an hour the last remaining Ft Lauderdale Condominium units at the Fountains on Ocean Boulevard were under contract and called for by lucky buyers who will get to close on one the last remaining unsold developer Fort Lauderdale Condominiums. Ft Lauderdale Condos were sold at about 40% off of the original asking prices, with unit selling from just under $300,000 into the mid $500,000 range. 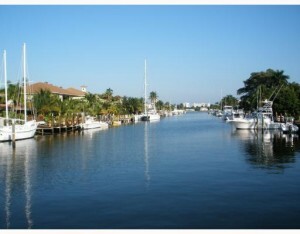 The demand was strong and the prices are a true indication of market value of Ft Lauderdale Condos. Fort Lauderdale Condominiums near the beach are part of a Ft Lauderdale Real Estate market where location is everything and has not been plagued with an endless supply of foreclosures and short sales. 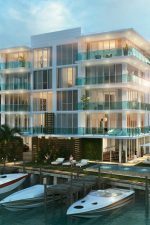 The bargains are out there, but if you have been waiting to purchase a Fort Lauderdale Condo near Ft. Lauderdale Beach, now is the time to plan your shopping trip, as the good inventory is clearly being sold to the highest bidder, as inventory continues to shrink when it comes to Fort Lauderdale Condominiums. When it comes to the most basic number which effects the Fort Lauderdale Real estate market; in Fort Lauderdale the trend is very differant than the trend the media speaks about throughout the country. That number is simply the number of residential units available for sale, and in Fort Lauderdale Real Estate, that number is declining. In Ft. Lauderdale and in the entre Broward County area, Fort Lauderdale Realtors have been complaining that there is nothing to sell. It is not quite that dramatic. But the saleable inventory is actually even lower than this graph shows. If you remove from the inventory the Ft. Lauderdale over priced unmotivated seller, the Ft. Lauderdale Short Sales which certain banks have caused many buyers to stay away from, the numerous Ft. Laudedale Foreclosurers that banks have frozen simply by leaving them on the market but are not responding to offers, and the area short sales that are being left on the market in “active” status because of fear that the first buyer will back out by time the bank responds, the truely sellable inventory in the Fort Lauderale area is even lower than this graph indicates. 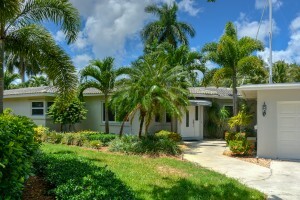 When it comes to Fort Lauderale Real Estate the graph indicates some very clear trends. Inventory in the last year has droppd 45%, sales have increased 20% and pending sales (possibly scewed because of the numer of short sales sitting in pending which will nevr happen) are up 82%. When it comes to Fort Lauderdale Real Estate, and especially Fort Lauderdale Condos and Fort Lauderdale Waterfront Homes the widely used statistic of “housing starts” becomes meaningless as we are basically out of land; out of land means out of housing starts. In summation with inventories back at the level of pre-housing boom in the Fort Lauderdale Real Estate Market, its a great time to be a buyer in Fort Lauderdale, and the team at Eric Miller and Associates is here to help with all your needs in Fort Lauderdale Real Estate.